Production on the project: The universe of the Rizia Group is in great movement. Following the approval of the initial plans, begins the production of the various décor (furniture, fabrics, carpet, lighting etc…) everything is extremely made to size: a classy personalized cocktail. In the case where a mock up room is prepared, the production will not start until the sample room is approved. We utilize innovative excellent quality, raw materials in full respect toward the environment. A severe monitoring of quality control and deadlines is continually conducted. Thanks to the optimum balance between high productivity and flexibility of the various departments, the Rizia Group manages production lots up to thousands of pieces. We offer planning and engineering services of the product. For large productions we use modern sophisticated machines with numeric control that guarantee optimal quality results, maximizing costs and timing. We work with all types of raw materials available on the market veneered, melamine on chipboard, MDF, listel and multilayer. The aesthetic aspect and a notable technology allow the production of doors with REI 30-45-60 certification that respond to advanced needs of acoustic protection. 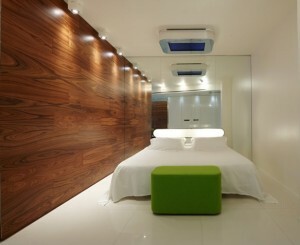 The fireproof doors Soundproofed for hotels and the door for the bathrooms of the rooms are custom produced. 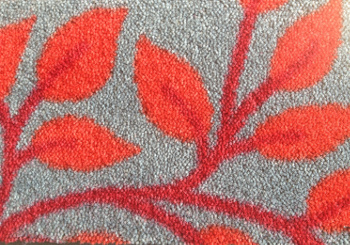 The carpet has high acoustic absorption as such it is used in cinemas, theatres and hotels. The carpet confers warmth, intimacy, thermal and acoustic comfort in the environment. Carpet and design: It is possible to print the carpet with a created design with the exact chromatic tones which are needed to complete the personalization of the global project. Various techniques exist: Axminster, Wilton, Tufting, Millitron. Glue o tension is used during the installation by highly specialized personnel. This division is concerned with lighting architecture for interiors and exteriors. The research of style and the optimum, technical solutions guarantee a high aesthetic, visual impact and an optimum functional response which satisfies all classic or contemporary requests. To create the lighting ambient we sweep from the traditional and precious glass of Murano to the most recent line of design, from innovative materials, remembering not to forget about saving energy. 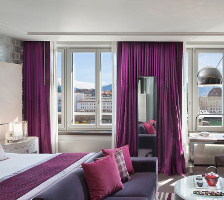 We realize the complete lighting for the rooms (wall fittings, led reading lamps, table and floor lamps) also complete lighting for places with large areas such as chandeliers that are authentic works of art. This division manufactures curtains for the rooms and the common areas: decorative, black out, voilage and pelmets. The bedspreads may be manufactured in quilted versions. In reference to the project and the relative budget, the options for the look of the walls are: painting, decorating, wallpaper, woven fabric, wood panelling wainscoting melamine. For the pieces of the suite and for the furnishings of the common zones, we use an artisan production. 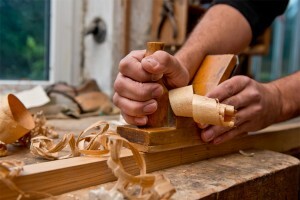 In this location the most particular work is realized such as special veneers and inlay designs. All the prototypes are created here before starting the whole production. This section follows also the residential. Sleep regenerates. The experts advise at least 7 hours of sleep a night to remain in good shape. The quality of sleep influences the quality of life. Everything is rigorously in regulation with certified, fireproof material for the contract sector this division manages: Spring mattresses, latex mattresses, orthopaedic sommiers, spring sommiers, netting, cushions, ottoman beds, sofa bed headboards for beds.The sommiers and headboards can be covered with fireproof material coordinated with the curtains, the bedspreads, the upholsteries and the skirts to cover bed frames and sommier. 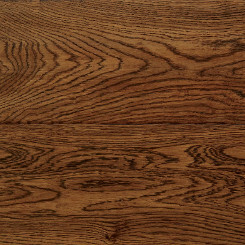 Wood floors are refined, warm and prestigious.One can choose from various types of essences and various formats. 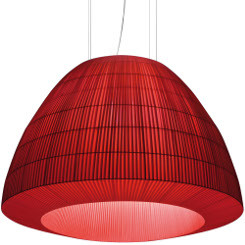 Laminated are resistant, strong, practical and ecological. The installation is fast without the use of glue. Porcelain tile: made in Italy offers a variety of rich possibilities from classic to modern for prestigious places. 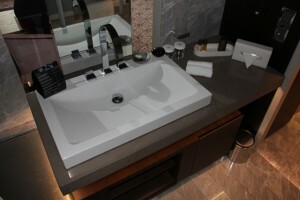 Marble and granites: suitable for luxury and prestigious common areas and bathrooms. The upholstery department is specialized in the production of upholstery intended for contract and residential décor. The products are created for the required size for all types of needs. For each single project the most suitable leathers, textiles, and microfibers are selected. Also in this area we begin from a custom design through prototypes to arrive to the production of a single element up until thousands of pieces. The various workings are done by personal with long experience and optimum preparation. This division gives live to coaches and sofas, sofa beds, lounge chairs, ottoman, bed headboards, benches, desks and cupboards in leather or ecological leather. 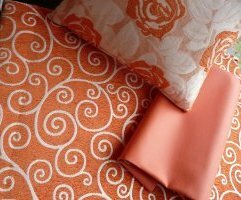 We create and realize collections of Trevira CS fabrics (jaquard, printed, voilage for the curtains. Fire proof certificate. Design and cromatic analyses assure an exciting aesthetic looking, rich of comfort. The planning of the bathroom goes with that of the rooms. In this area we are concerned with the floor and wall coverings, the toilets, the furniture and the accessories.